Most appealing about Acer's new Chromebook 15 CB3-531 are its $199 price and large 15.6-inch screen. But the laptop is bulky and it puts into question whether Chromebooks can be full-blown desktop replacements. Most Chromebooks today come with smaller screens, so the laptop's large screen was a welcome sight. During a short hands on test at an Acer event, it was a pleasure to watch a Youtube video on the laptop without straining my eyes, as is the case with one 11.6-inch Chromebook I regularly use. 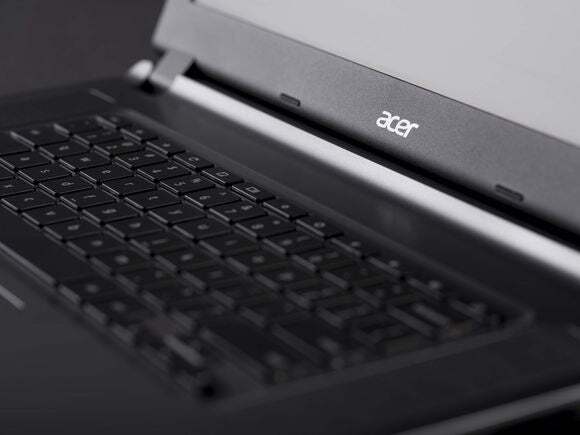 The Chromebook CB3-531 is Acer's latest addition to a growing line of Chrome OS laptops. It already sells 15.6-inch models priced starting at $249, but has scaled down some features -- primarily the CPU -- for the new $199 model. Besides low prices, Chromebooks have attracted buyers for their portability. The new Chromebook 15 is more a desktop replacement, and is heavy to carry around. Acer says the laptop weighs about two kilograms. The Chrome browser, apps and Web services loaded quickly, though there was a slight stutter on the Youtube video. The Intel Celeron N2830 dual-core processor, which has been shipping for more than a year, provided adequate performance. Chromebooks are designed for those who do most of their computing on the Web, and most applications require an Internet connection. An important measure for performance in Chromebooks is the wireless network performance, and the laptop's 802.11ac wireless connection seemed stable and smooth. Acer claims the laptop's battery lasts up to 11.5 hours, but that may not be the case when the screen is on medium brightness. A battery monitor showed about nine hours of laptop run-time remaining with 95 percent of the battery left. But nine to 10 hours of battery life is still pretty good. The keyboard felt cramped to type on, and Acer could have done a better job placing the keys over a wider area. Some Windows laptops have a keypad to fill up the space, but Acer opted to put speakers on each side. On low volume, I could hear sounds from the Youtube video, but I couldn't test the speakers at high volume in the crowded and noisy room. The laptop has 16GB of storage and 2GB of RAM. A full-size HDMI port, micro-SD slot and USB 3.0 and USB 2.0 port are located on the sides. The scope of my test was limited to a few apps and web services. The lack of local applications raised questions on whether large-screen Chromebooks can desktop replacements, an area dominated by Windows laptops. For me, Windows PCs typically provide more storage and are better as stationary computers running local applications, while Chromebooks shine as lightweight and portable computers with access to web services. Acer begged to differ. 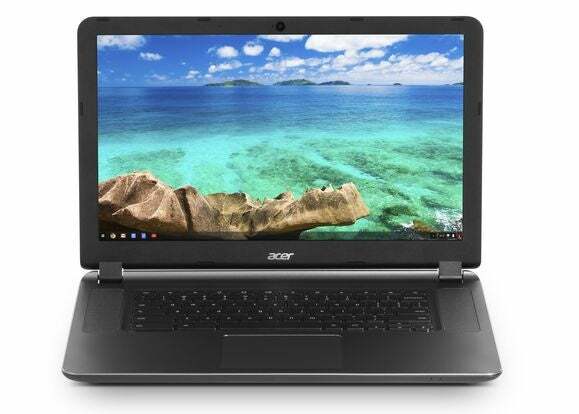 Chromebooks have done well in schools, and a teacher may prefer a larger-screen laptop in classrooms, said Gregg Prendergast, vice president of commercial sales for the U.S. market at Acer. Users invested in Chrome OS may also want a larger-screen Chromebook to complement other computers, he said. His points were well taken. At $199, the Chromebook 15 CB3-531 could be an impulse buy. The laptop will start shipping in the U.S. in July, and EMEA (Europe, Middle East and Africa) starting in June.